Just before 5pm on January 12, 2010, a magnitude 7.0 Mw earthquake epicentered about 15 miles west of Port-au-Prince, Haiti. That, and the several dozen aftershocks, some with a magnitude of over 5 Mw, condemned over 150,000 people to death and demolished over a million homes. The globe sees nearly 1,500 earthquakes of magnitude 5.0 and higher each year. The US Geological Survey (USGS) reports that 75 million Americans in 39 States face a “significant risk” from earthquakes. While the Pacific Coast, including Alaska, suffers the highest frequency of large earthquakes each year, the New Madrid Fault in the Central US is also active. Seismic activity has jumped several hundred fold since the advent of advanced fracking techniques, contaminating the groundwater for millions, while worsening our quality of life. Other US hotspots include the Wasatch Fault in Salt Lake City, Utah and the island of Hawaii. The 1986 5.0 earthquake in Ohio rattled several states and shook the 13th floor of the downtown office building where I worked. Though federal agencies still claim ignorance as to the cause of that quake, geoscientists readily determined the link. Later studies confirm that fracking induces earthquakes. Since our corporate-owned government has no intention of banning industrial processes that generate profit, even when they induce earthquakes, instead it offers free earthquake preparedness training, with drills on the third Thursday of October since 2008. 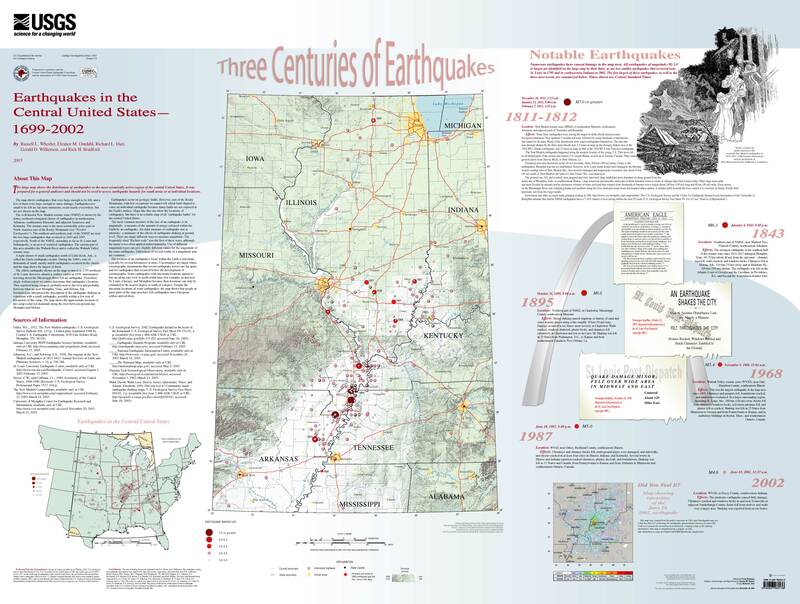 Sponsored by the USGS, FEMA and the National Science Foundation, the Great Shake Out is scheduled for Thursday, October 17 at 10:17 AM local time, and at least 39 states are participating, with 15 million US residents registered for the earthquake drill. But if you have qualms about working with the feds, plenty of survivalist books, videos and websites have a wealth of knowledge that can fully train you and yours in disaster readiness. My current favorite is Mat Stein’s When Disaster Strikes, which includes a forward by James Wesley Rawles, survivalist author of the book deemed “the most dangerous novel in America” (referring to Patriots, 2009) and creator of www.survivalblog.com. The layout of When Disaster Strikes is simple: general preparations that apply to any catastrophe; survival medicine, skills and tools; and specific disasters and crises. Drawings, charts and diagrams drive home each message, making this book a must-have on your survival bookshelf. Bookshelves and water heaters should be bolted or strapped into place. Spare water should be stored and regularly refreshed. Survivalists recommend a minimum of one gallon per person per day. Ready a go-bag with your important documents kept in waterproof bags, along with cash in case the ATMs are down. Another 72-hour go-bag should contain needed essentials to dress and feed you for three days. If on a coast and you see the water rapidly receding, immediately move to higher ground because earthquakes can cause tsunamis. A powerful true story, The Impossible, dramatizes one family’s ordeal with the 2004 Asian tsunami that killed over 230,000 people in 14 countries. It was preceded by a 9.2 Mw undersea earthquake. If you smell gas, extinguish any open flames and do not turn on any electrical switches, which, he explains, arc when switched on or off. That arc can ignite the gas. Instead, use glow sticks. Check for personal injuries and address them as soon as practical. An entire chapter in When Disaster Strikes is dedicated to first aid. Aftershocks can be just as deadly as the original temblor. Stein reminds us that your auto can provide safe, secure shelter if your home is structurally damaged or otherwise unsafe. Public water, lights and gas usually shut down during an environmental disaster, so all smart preppers have a ready supply of clean water and alternative power supplies. Another chapter is dedicated to water purification and storage, from the high-tech to low, including SODIS: solar water disinfection. Though boiling water is 100% effective at killing pathogens and chlorination ranks a close second, sometimes those options are not available. Water can be bottled and left out in the sun for 1-2 days to allow ultraviolet rays and solar heat to kill pathogens. He notes that SODIS is effective only 4 inches deep, so is not recommended for large bottles. Putting the bottles on a black surface, or painting half the surface black will increase the solar heat collected. More info can be found at http://www.sodis.ch/methode/index_EN. Filters, pills, stills and crystals all are recommended, with specific info on each. Whether you want to practice with the feds or your own private community, earthquake preparedness training is essential now that fracking has made temblors part of every day life in the States.